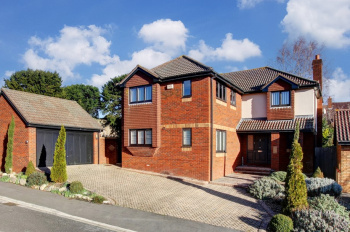 A spacious and immaculately presented 5 bedroom (1 with en suite), 2 reception room (plus study) modern detached family home offering balanced and well-arranged accommodation over two floors with a terrific level rear garden, ample off street parking and a double garage. The attributes of this house with its easy convenience, location, position and views make it a very special home. Light streams in through its big windows from which there are lovely views and its very generous living, family, kitchen/dining rooms encourage flexible use of the accommodation. A bright, individual and well-located 4 bedroom (2 with en suite), 2 storey modern detached family home benefiting from off street parking for 2 cars, a double garage and gardens on all sides. 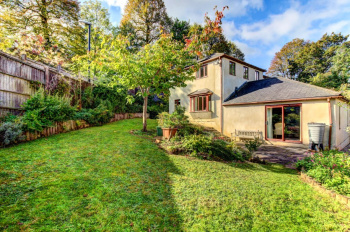 Situated in the heart of Sneyd Park, an attractive leafy area of Bristol with the green open spaces of Durdham Downs nearby as well as lovely walks within the Sneyd Park Nature Reserve located just a couple of hundred metres away. Bus connections to central areas are also nearby as are the local shops of Stoke Hill. 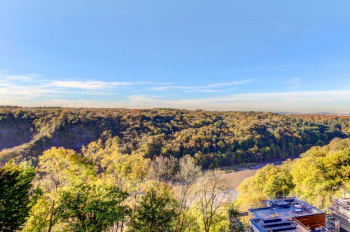 Enjoying sweeping panoramic skyline vistas across Durdham Downs, Avon Gorge and Sneyd Park; an astounding penthouse apartment (of circa 2,200 sq. ft.) offering exciting potential to modernise, having direct lift access, two enclosed balconies, off-street parking and beautiful communal garden. Set within this prestigious development in the leafy fringes of Durdham Downs which offers 400 acres of open recreational space. 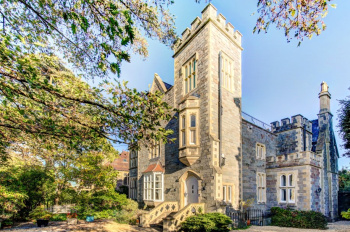 There are extensive communal gardens and grounds for use of residents including a secret seating area with enchanting views of the Clifton Suspension Bridge. An attractive and bay fronted, 4 double bedroom, 2 bath/shower room, Victorian period townhouse (circa 1,850 sq. ft.) having a spacious semi open-plan kitchen/dining/living room and sunny rear garden. 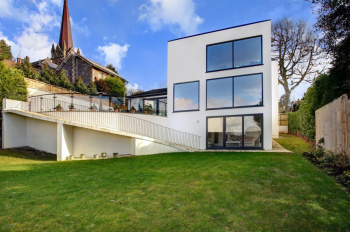 An elegant and good sized family home in an immensely popular location. 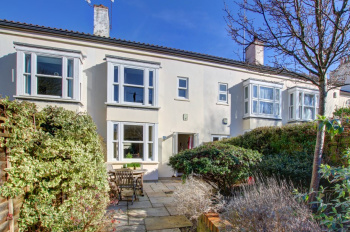 An attractive and well-presented 4 bedroom, 3 storey townhouse with secure allocated off street parking, fully enclosed south-west facing rear garden with rear access gate providing level access to Clifton Village. One of four properties within a select development set behind double electric gates. A quiet and tranquil setting discreetly situated away from the hurly burly of central Clifton Village and yet providing ease of access via a gentle level walk via the tree-lined Victoria Square Gardens. Full of charm and original character, this engaging 3 double bedroom Victorian townhouse retains many period features as well as enjoying a tastefully updated interior, a 50ft landscaped city garden PLUS a handy outbuilding/garden workshop with rear access. 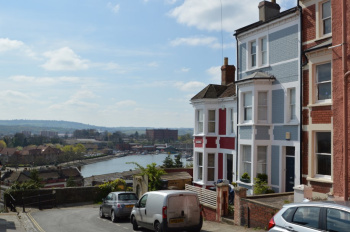 Located on Cliftonwood Crescent with its friendly community and convenience of location situated between Clifton Village and Bristol's harbourside, excellent local gastro pub 'The Lion', situated at the end of the street and a small community park/playground beyond. Ground Floor: entrance hallway, sitting room with log burner, kitchen/breakfast room with wide wall opening through to a dining room/conservatory creating a sociable environment. Useful walk-in larder. First Floor: landing, bedroom 1, stylish bathroom/wc, further shower room/wc with utility cupboard. 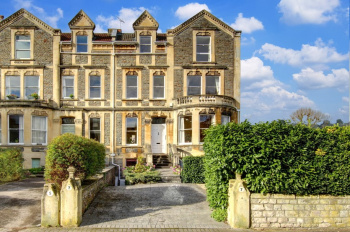 A charming and immensely versatile, 5/6 double bedroom, 2 bath/shower room, Georgian style (circa 1852) Clifton townhouse located conveniently between Clifton Village and Bristol's historic harbourside with 70ft south-easterly facing rear garden. Set well back from the roadside behind a communal section of garden and with an established wisteria clad front elevation. A most attractive townhouse with high ceilings and an abundance of characterful features including an elegant turning staircase, period fireplace, multi-paned sash windows with working shutters and ornate moulded plasterwork. 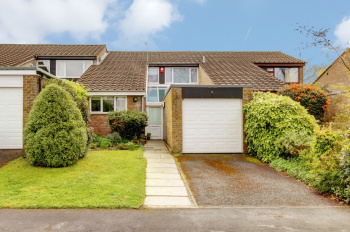 A spacious and individual 4 bedroom detached family residence situated opposite and overlooking the green open spaces of Leigh Woods nature reserve and with off street parking for 3 cars, a garage and gardens surrounding the property. Situated towards the top of North Road and almost directly opposite the pedestrian entrance to spectacular green open spaces of Leigh Woods nature reserve, offering idyllic walks and mountain bike trails virtually on the doorstep. 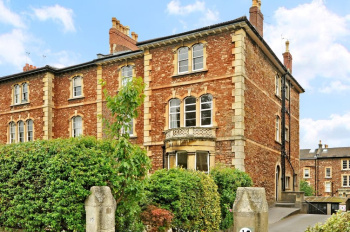 Also within close proximity to the Ashton Court Estate and within easy reach of Clifton Village with its boutiques, shops, restaurants and amenities. 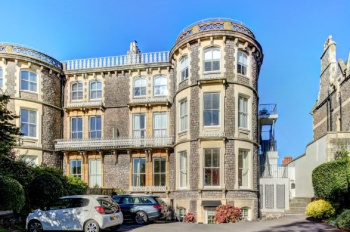 Set in an elegant Victorian bay fronted building near to Clifton Village - an exceptional and newly renovated 2/3 bedroom, 2/3 reception room, 2 bath/shower room ground and raised hall floor maisonette apartment with private rear garden/off-street parking. Clifton enjoys an enviable reputation with an eclectic and diverse range of boutique shops, bars, restaurants and further essential services. The architecture is varied and striking with 400 acres of open space found on the Downs just under a mile away. 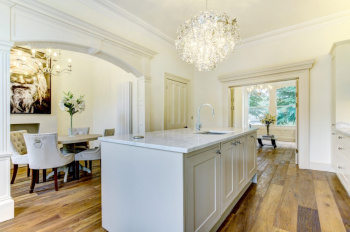 There is a stylish, well-appointed shaker style kitchen with Carrera marble worktops and numerous integral appliances including Stoves range cooker, tall fridge/freezer, microwave, dishwasher and washer/dryer. 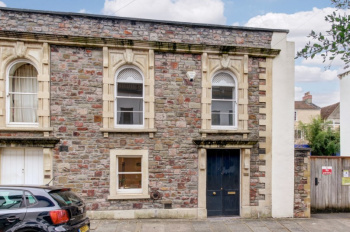 Enjoying a quiet tucked away position on the south side of Clifton and convenient for the Harbourside; a spacious 4 bedroom, 3 bath/shower room conversion of a former chapel (circa 1,850 sq. ft.) with courtyard rear garden and SINGLE GARAGE. Having a fine array of period features including multi-paned arched sash windows, working shutters, decorative recesses and ornate moulded cornicing. A modern 3 double bedroom, '2 bathroom' 4th floor balcony apartment in an impressive conversion of the former Dingles department store, with underground allocated parking and stunning views. 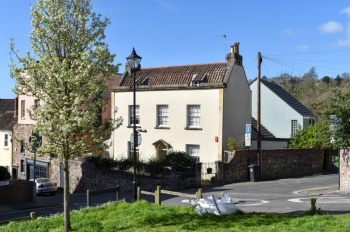 Set in an exceptionally convenient and central location on the doorstep of the hustle and bustle of the Clifton Triangle with a vast range of eateries, bars, shops and services. Close to so much on offer - the BRI, Whiteladies Road, BBC, Bristol University are all within easy reach. A stroll to the harbourside, Brandon Hill park and Clifton Village. Accommodation: reception hall, living room, kitchen, bedroom 1 with en suite bath/shower/wc, bedroom 2, bedroom 3 and shower room/wc. Allocated underground parking for one car. Large balconies allow for elevated cityscape views and space for outside seating. Enjoying a prestigious setting fronting Durdham Downs; an opulent 2 double bedroom (formerly having 3 bedrooms) hall floor apartment of grand proportions and circa 1,750 sq.ft., set within an impressive grade II listed bay fronted Victorian building, having private entrance and allocated off street parking. Enjoying views across Durdham Downs, which offers 400 acres of recreational space including cafe retreat which is popular for a weekend coffee. Built circa 1860, the apartment enjoys an abundance of period features including fireplaces, high ceilings, ornate moulded plasterwork, multi-paned sash windows and working shutters. Accommodation: reception hall, sitting room (20'5" x 15'5"), kitchen with integrated appliances, dining room, utility room/wc, 2 double bedrooms, family bathroom/wc. 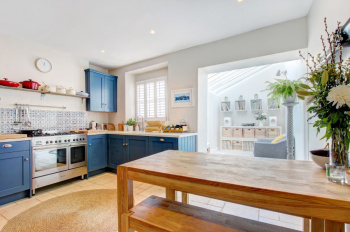 An inviting 4 bedroom, Grade II listed period home with a country cottage feel. 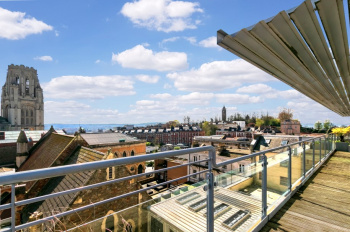 Well located, just down the hill from Clifton Village and close to Bristol's harbourside, further benefiting from front and side courtyard gardens and residents parking permit scheme. 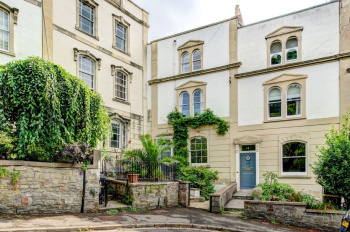 Located on the lower slopes of Clifton between Clifton Village and Bristol's historic harbour side, making it convenient to access all central areas. Ground Floor: entrance hallway, sitting room leading out to side courtyard garden, fabulous kitchen/breakfast room leading onto utility area and ground floor shower room/wc. First Floor: landing, bedroom 1, bedroom 2. Second Floor: landing, bedroom 3, bedroom 4, luxury bathroom/wetroom. A charming and characterful home in a great location with an elegant interior. A bright and exceptionally spacious circa 1,220 sq. ft., 2 double bedroom, 2 bath/shower room garden flat which has undergone full modernisation and reconfiguration creating a well-balanced and pleasing layout with high specification fixtures and fittings, delightful sunny private landscaped rear garden and single garage. Bright and well proportioned accommodation including large sitting room, separate kitchen/dining room with access leading out onto private rear garden. 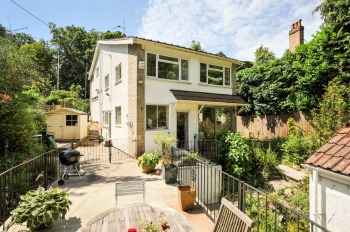 Set in a popular location within a few hundred yards of Durdham Downs which benefits from 400 acres of open space, within 400 metres of Whiteladies Road and convenient for Clifton Village, University, Hospitals and the BBC. Accommodation: entrance hallway, large sitting room, kitchen/dining room, bedroom 1, bedroom 2 with en-suite shower room/wc, bathroom/wc with utility room. 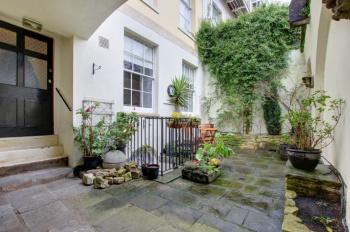 A charming 3 bedroom courtyard garden maisonette set in a fine grade II* listed Georgian period building on Royal York Crescent with a unique cultured and civilised atmosphere, located in the heart of Clifton Village. Benefits from front and rear courtyard gardens, private entrance and communal gardens for the residents of Royal York Crescent and York Gardens. A short level walk arrives at Regent Street and the centre of Clifton village with a range of bars, cafes and retailers all close by. Ground Floor: entrance hall, cloakroom/wc, drawing room, kitchen, bedroom 2, bedroom 3: Lower Floor: hallway, bedroom 1 and bathroom/wc. Outside: front and rear courtyards and private entrance. A spacious and versatile maisonette set in a highly favoured position in a prime Clifton location with the benefit of its own private entrance. The subject of much improvement this 3/4 bedroom modern house is presented beautifully and is located in a sought after road. Peaceful position in a quiet backwater yet with easy access to the shops on Stoke Hill and 300 metres from the entrance to the Old Sneed Park Nature Reserve with the city centre and M5 motorway a little further afield. Comfortable and flexible accommodation that is also practical and convenient.